Pain free dentist in Hurlstone Park, Sydney welcomes you!. If you are looking for excellent dentistry, I hope our incredible dental team will assist you to some of the most up to date treatment in dentistry. We are conveniently located to service dental needs for Hurlstone Park, Inner West suburbs. Pain Free Dentist offers cosmetic, emergency and general dentistry. Our services include orthodontics, root canal therapy, implant dentistry, painless extractions, teeth whitening, veneers, sleep dentistry, sleep apnea treatment, snoring guards, oral and IV sedation. We are experienced in treating TMJ disorder and offers various treatment options including muscle relaxant injections. Our dental team are great in relieving dental anxiety, and we offer options such as oral and IV sedation to ensure your dental visit is as pain free and forgetful as possible. Dr Chong is a Chinese speaking dentist, who is also fluent in English, Bahasa, Malaysian, Indonesian, Cantonese, Hokkien and Mandarin. Our associate dentist Dr Ali can speak both English and Arabic. There is no substitute for having your individual situation reviewed in person with a qualified dentist, and we take the time to discuss with you all of the options available to give you the beautiful smile you desire. Ask us about our available payment plan options, MiFund partner. Teeth whitening, composite bonding, veneers, porcelain crowns and TMJ treatment - we've designed durable and contemporary cosmetic dentistry techniques for all ages. We can give you the beautiful smile you have always wanted. Afraid of the dentist or dental visit? We have extensive experience making our clients feel as relaxed as possible, from our talented dental team to the latest techniques. Discover how we strive to make your visit a pleasant one. Crooked or crowded teeth? Forget those clunky metal braces, Invisalign is sweeping the world with its easy to remove, simple to clean design and incredible six month smile results. Let us give you something to smile about! A trip to the dentist can be terrifying for a lot of people. Studies have shown that people who have a fear of the dentist actually take worse care of their teeth, meaning these people need to go to the dentist more then those who don't mind a trip to the dentist! Our mouth is a vulnerable part of our body and several basic needs are threatened via the mouth, including having open air passages. Many people feel like they have no control, and simply reclining in a dental chair can be bad because of the feeling of being helpless. If kids encounter pain or an experience that they find scary, the fear can take hold and so first visits to the dentist are the most important. Enjoy these short videos explaining the different options available, so that patients understand how to avoid serious dental issues . After all, its you teeth, and we believe the more information we can provide helps you make an informed decision. What are they, who needs them, and how do they work? What is it, what can be done, and what are the results? Give children the correct technique from a young age to avoid any issues. At Pain Free Dentist Sydney, we want everyone to feel comfortable at the dentist. Our varied techniques, holistic approach, understanding and caring dentists all combine into a soothing and simple experience for every type of procedure. So you can relax while we focus on what is important - Giving you the smile you always wanted. If your child has a thumb sucking habit, tongue thrusting, tongue tie issues, that can lead to abnormal development of his/ her teeth. Myobrace is an easy appliance that your child can wear without any yucky impressions. The child is fitted to the correct size appliance and then complements with exercise program to re-train and re-posture the tongue for a better development of his/ her teeth. As the child grows the appliances changes as well. Myobrace has been found to break all these habits. Do one thing really well. We do teeth. Beautify your smile with our simple tooth whitening, straightening, crowns or orthodontics. In and out visits, including checkups, fillings, cleaning, soreness, and general dental health and hygiene. Let us take care of your teeth issues, such as tooth implants, TMJ Dysfunction and Emergency Dental. Click here to see the full range of services we offer. We hope to continue being your favourite dental clinic, we can't rest on our laurels. Our dental team are continually refining our techniques, utilising new technologies, and improving our holistic approach to giving the best results in the best environments for our clients. Click here to see more about our clinic or contact us. The heart of our clinic is the founder, Dr Chong. Dr Lisa Chong graduated with first class honour from Otago University in 1996. Her work with fearful and anxious patients motivated her to search for other, pain free alternatives to incorporate into her work. We offer new and emerging oral sedation techniques to ensure you are comfortable and worry free, as well as providing alternatives to mainstream dentistry. She believes in holistic approach in dentistry. Dr Lisa Chong is fluent in Mandarin, Cantonese, Hokkien, English, Malay, and Indonesian. Dr Lisa Chong is trained and highly regarded in Cosmetic Injectables such as Collagen Fillers. She is a member of the Australasian Academy of Dento-Facial Aesthetics, as well as a member of the Australasian Implant Dentistry and ADA member. Her main interests lies in Dental Implant Surgeries, Cosmetic dentistry, Aesthetic Dentistry, Holistic Dentistry, TMJ dentistry, Endodontics, Wisdom Teeth surgery and Complicated Oral Surgery procedures such as Sinus grafting and Gingival Grafting. Dr Lisa attends courses and seminars cantered around cosmetic dentistry, cranial and full mouth rehabilitation, TMJ treatment, sleep dentistry. 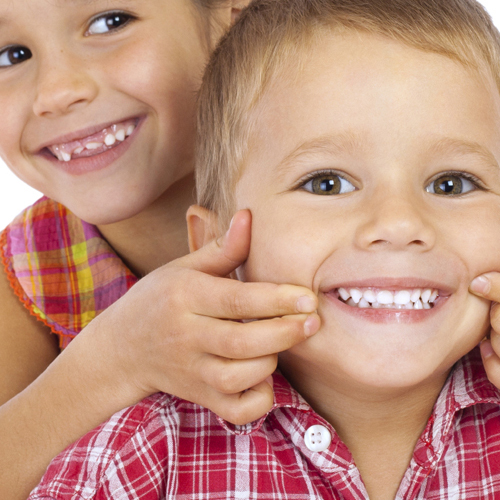 Do you know the Child Dental Benefit? The Child Dental benefits Schedule (CDBS) is a program run by Medicare, offers up to $1,000 in dental services for eligible children from aged 2-17 over two calendar years. The 2 year cap period starts when a child or teenager first gets an eligible dental service. It targets families who have already received other benefits, such as Family Tax Benefit A payments. In some cases, CDBS payments are made to parents, guardians or approved organisations. Eligibility is assessed at the beginning of the calendar year. You or your child must meet these requirements at least one day a year. If you or your child qualifies in the calendar year (for example, if your child turns 2 years old in that year), they will receive a full year's payment. The money you don't spend in year 1 will carry over to year 2. You can also check the eligibility on the CBDS website. If your child is eligible, CDBS will cover the fees for dental services, including examination, daily cleaning, repair of cracked teeth, fillings and root canals.It does not include orthodontic treatment (such as braces to correct bent teeth), any dental work that requires a hospital visit, or cosmetic procedures (such as replacing missing teeth). Come along as a family with your child today! If you have a Department of Veterans' Affairs (DVA) Health Card - All Conditions (Gold) or Totally & Permanently Incapacitated (Gold), DVA will fund most clinically required dental services, provided under DVA arrangements. We will provide dental services for you through the Medicare Benefits Scheme, free of charge. For information about the Gold Card, please refer to DVA website. Gold card holders will normally receive all dental treatment subsidy provided, which our dentist will determine the clinical need for dental treatment. Depending on the type of treatment you need, our dentist can do this immediately without DVA approval or seek approval from the department before continuing treatment. Procedures such as dental exams, x-rays and temporary crowns, for example, can be done without delay, while some surgeries, dental implants and artificial tooth replacements (A.K.A. dentures) must wait until the DVA approves them. The good news is that many general dental procedures do not require approval. Keep in mind that while many standard treatments don't have an annual monetary limit, some do. Our dentist will tell you what falls into this category and how much money you can spend each year on medical services. If you have further inquiries or questions, please contact DVA directly. How do I access dental services? Currently, we only accept Gold card members to perform the treatment. You do not need a referral from your doctor to make an appointment with us. Come today with family members! Who is eligible? The CDBS is for children aged 2 to 17 who are eligible for Medicare and who also receive at least one of the following benefits: Family Tax Benefit Carer Payment Disability Support Pension Parenting Payment Special Benefit Youth Allowance help under the Veterans’ Children Education Scheme (VCES) if the child is 16 years or older help under the Military Rehabilitation and Compensation Act Education and Training Scheme if the child is 16 or older In some cases, CDBS payments are made to parents, guardians or approved care organisations.Eligibility is assessed at the beginning of the calendar year. You or your child have to meet the requirements for at least one day of the year. If you or your child become eligible during the calendar year (for example, if your child turns 2 during the year), they will receive a payment for the whole year. Any money you don’t spend in the first year will be carried over to the second year. You can check on the Child Dental Benefits Schedule website whether your child is eligible. Public vs private dentists Children who receive CDBS payments can receive treatment in any public dental clinic. The claim will be bulk-billed and there will be no out-of-pocket costs. You can also use CDBS payments to pay for some or all of the treatment at a private dentist. You can use all of the $1,000 at once, or spread it out over the 2 calendar years. You may still need to pay some out-of-pocket costs if you choose a private dentist. Make sure you understand how much the procedure is likely to cost and whether there is likely to be any additional work needed. Your dentist should explain all the expenses to you before they start treatment. Your dentist can check whether your child is eligible to receive CDBS payments and how much is remaining in their balance. If you have private health insurance, you cannot claim a payment from your health fund and for a CDBS payment for the same treatment. From checkups to whitening, Pain Free Dentist Sydney have you covered. Come chat with our friendly dentists. Do you grind your teeth? Have a consultation about your TMJ Pain. Risk of tooth fracture is high in RCT treated tooth. Our dentists have more than 25 years of experience with high standard! We are available during weekends as well. Call us on 9558 8988 or email us at info@painfreedentistsydney.com.au to book an appointment now! Are you looking for TMJ pain management? Ask us how with our anti-wrinkle injections for jaw muscle relaxation.